Word of mouth and client referrals are a testament to our commitment to quality and absolute client satisfaction. Investing our time and energy into the successful completion of a home or renovation ensures a far better return than any full-page ad or radio jingle. That’s because at Laureden Homes we build more than just houses – we build trust and relationships. 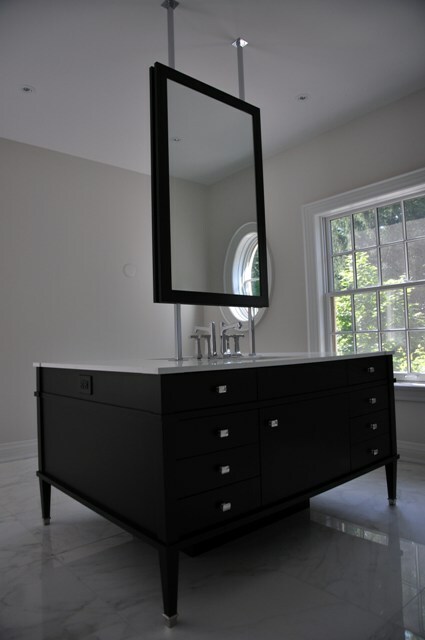 Our reputation as one of the premier design and building companies in the Greater Toronto Area is our greatest achievement. Below is what some of our clients had to say about us. Mr. & Mrs. Z, Upper Village. About 15 years ago we had Issac’s firm propose a house design for us. His firm was one of two that we selected. They drew up some preliminary plans and as soon as my wife and I saw the design we knew that we had found what we were looking for. When the designs were completed we went a step further and also contracted Issac to build the home for us. Our relationship had developed so nicely we didn’t want to think of anyone else. That turned out to be a very good move. Since then Issac had built one more home for us and most recently constructed a fairly complex and demanding retail project for us in Unionville. This, as well, was a very successful project. We are very happy to have had the opportunity to work with Issac and Laureden Inc. As previously mentioned, we have developed a very good relationship and we trust Laureden homes to complete our projects on a timely basis, with that fine eye for details and on budget. We hope to continue this relationship with Laureden Inc. in the very near future with a few more of our upcoming retail projects. Mr. O, CEO of a Condo Development Corp.
“Laureden performed a large addition and renovation to my home. They also did a commercial project for my company, all in record time without compromising quality. Always a pleasure to work with!